Ever since Kupe first followed the wheke a Muturangi (a giant squid) to Te Moana-a-Raukawa (Cook Strait), the history of Wellington and the people who have lived here has been told, researched and retold. Wellington Heritage Week 22nd to 28th October is an opportunity to experience Wellington’s people, places and stories. Check out the Wellington Heritage week program here. 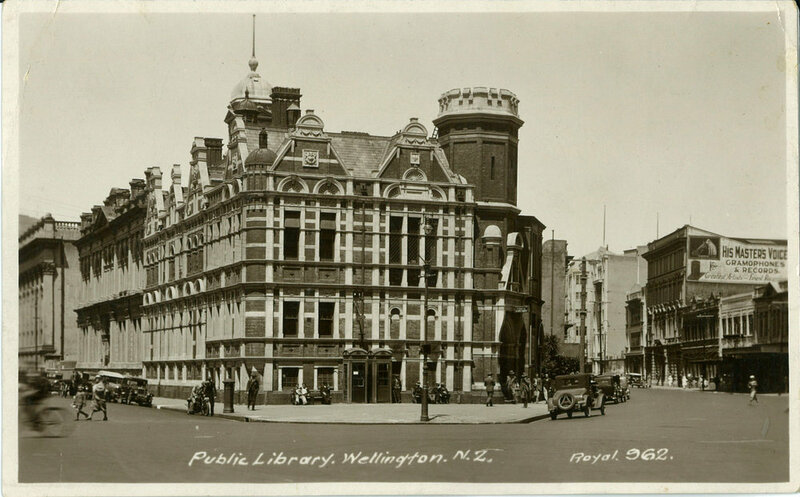 If you would like to do some of your own research into your Wellington people, places and stories then here at the library we have many resources to help you in your research. A great starting point is our Heritage and Local History page, with tips and links to help you get started. On the Te Whanganui-a-Tara resources page you’ll find digitised resources, including: Māori deeds of land purchases, a list of Māori tribes and chiefs circa 1878, and many more resources. Check out these resources on the local Te Whanganui-a-tara Māori history available here. We have the 4 volumes of Ngā Tūpuna o te Whanganui-a-Tara in our collection. These 4 volumes were a collaboration between Wellington City Council and Wellington Tenths Trust and our Māori subject specialist Ann Reweti was part of the writing and editing team. Have you visited the Wellington City Recollect website yet? You will find a database of heritage photos, books, maps and related ephemera reflecting the Capital’s past. The database is administered by Wellington City Libraries and our local historian specialist Gabor Toth recommends having a look at some of the great new additions to this database. The latest project is the ongoing digitisation of Wellington school jubilee and centenary publications. These school publications are a great source of Wellington heritage information and you can see the ones that have been digitised so far, click on the Publications tab here. Wellington City Recollect is a great place to spend some time during Wellington Heritage Week. Wellington City Libraries are very proud of our role in Wellington local history and some of the great things you can find on Recollect are postcards like the one below of Wellington Public Library C.1925 or browse thru the souvenir opening guide produced for the 1940 opening to find out about the library building that now houses the City Gallery here. This image has been downloaded from https://wellington.recollect.co.nz/ and may be subject to copyright restrictions. Please verify the copyright status before any reuse of this image. You can now listen to interviews with Ruth Gotlieb on our website, detailing her fascinating life; growing up in Ireland and emigrating to Australia then New Zealand. The oral histories include an in-depth discussion of her 27 year career serving as a councillor and board member, with the Wellington City Council, the Wellington Regional Council, the Wellington Harbour Board and the Capital & Coast District Health Board. Ruth Gotlieb’s honours include having the library in Kilbirnie renamed Ruth Gotlieb Library, being awarded a Queen’s Service Order in 1995, and named Wellingtonian of the year in 2010. 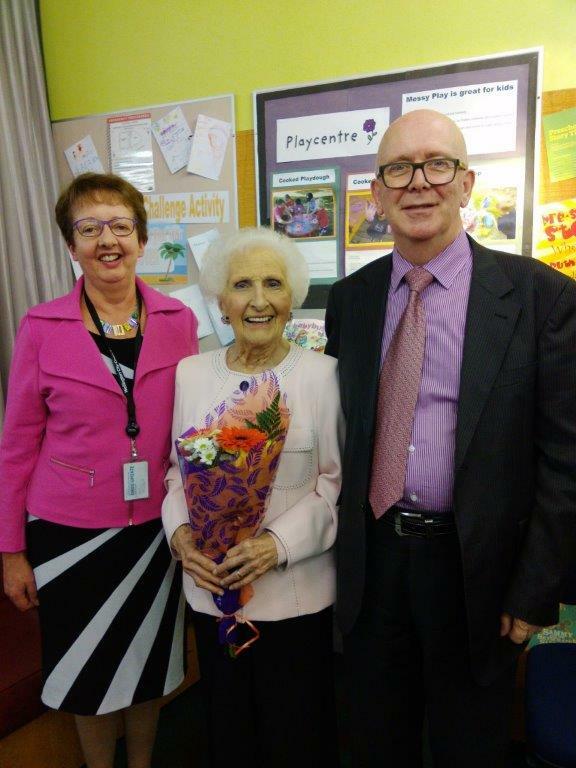 Ruth has contributed many hours volunteering with numerous organisations and as Justice of the Peace, and continues to do so to this day. Check out the oral histories here – Ruth Gotlieb oral history page. Short historical films available on our website! Check out our new Heritage Films page for a selection of films from Wellington City Archives we have digitised. The films were made to document council activities and at the time were only shown to a small audience. These short videos are an insight into some of Wellington’s history and include scenes from the opening of Khandallah Library in 1953, the Queen’s visit in 1954, the “Festival Of Wellington” in 1959 and a five minute film from 1947 about Wellington’s milk supply. Alongside the videos on the Heritage films page you’ll find information on the Festival Of Wellington, publicity materials and photos. We’ve also added the films to our WCL YouTube channel – check it out for storytimes and other videos we have created. We’d love your feedback! Stretching for 15 kilometres from Makara in the south to Tawa in the north, Ohariu Valley is a rural district on Wellington’s urban doorstep. Feeling that the social history of the area deserved to be more widely known, Wellington City Libraries have captured some of the memories of current and former valley dwellers in this oral history project. The community and the library present these pages to you. Have a look, and a listen.